Mattamuskeet probably originated near Lake Mattamuskeet in Hyde County, North Carolina. Legend has it that the seed was taken from the gizzard of a wild goose by the Mattamuskeet Indians. The fruit hangs well on the tree and ripens in November. 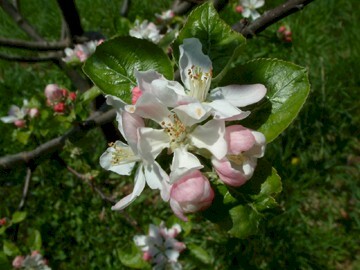 A low-chill apple that can be raised in warmer climates. 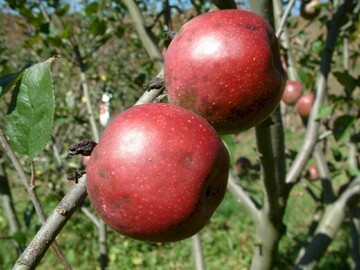 Fruit is medium-sized and slightly conical or irregular in shape. Skin is greenish-yellow and covered with dull purplish or rusty overtones. Flesh is dull yellow, firm, juicy, and acid when picked, but mellows in storage.